The hustle and bustle never ends at a grocery distribution center. Trucks filled with apples, milk and cereal are constantly coming and going. For the drivers, time is money, so every minute spent circling a parking is expensive and wasteful. Recently, an Indianapolis distribution center for a large grocery store completed a parking lot renovation project. They called Indiana Barrier for help during this project. To successfully accommodate customers, the distribution center needed their parking lot to be easily navigable with few congestion points during prime business hours. Everything from entrance and exits to traffic lanes needed to be clearly marked, so as to be visible to big trucks. Clean signage and lines helped to direct trucks into a one-way traffic flow. 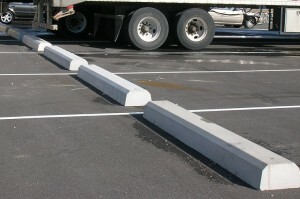 The distribution center needed 48 concrete truck bumpers to help with parking lot order. These bumpers would be placed strategically in each parking spot to signify drivers where the spot ended and to make sure drivers didn’t pull through the spot, disrupting the traffic flow. New bumpers would allow for an easier truck parking process as they waited for their next delivery. Installing the concrete truck bumpers would be the final stage of the center’s parking lot renovation project. 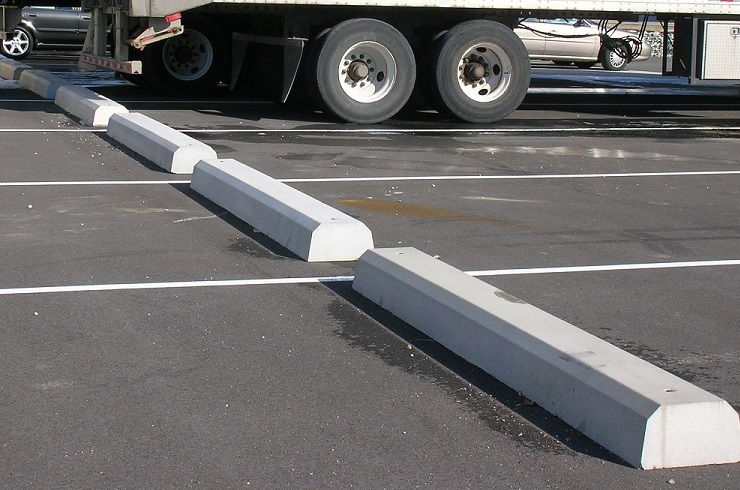 After the parking lot was paved and striped, Indiana Barrier came in to finish the renovation. We delivered and installed 48 truck bumpers in the trailer stalls located at the back of the building. Now, the center has an updated parking lot with brand new concrete bumpers to help ease the parking process for trucks at the distribution center. The new traffic flow allows for grocery pickups and deliveries to be even safer and more efficient. Does your parking lot need an update? Check out our product page or give us a call at (317) 549-2900.